Protects edge of stair from damage. Easy to install - no fasteners required. Provides smooth transition between adjoining floors. This stair nose moulding provides a finished look by completing the change from wood flooring to a top stair step. The durable finish coordinates with our Heritage Mill Hand Scraped Spice Maple Hardwood Flooring. Molding is made of solid wood with coordinating stain. This moulding is proudly crafted in the U.S.A. from wood grown and responsibly harvested in the U.S.A. This stair nose moulding provides a finished look by completing the change from wood flooring to a top stair step. The durable finish coordinates with our Heritage Mill Natural Hickory Hardwood Flooring. Molding is made of solid wood with coordinating stain. 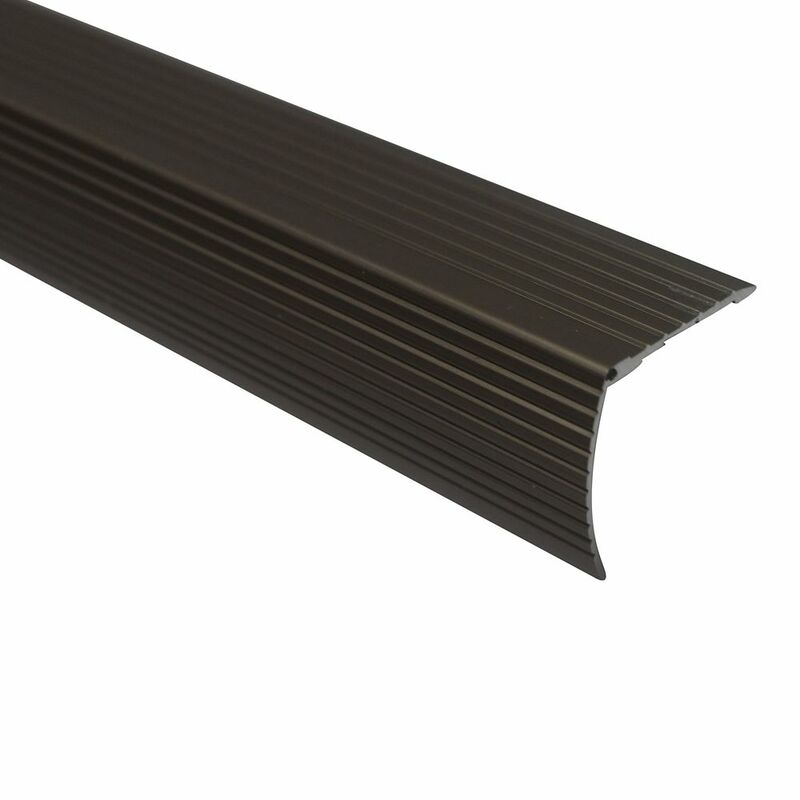 This moulding is proudly crafted in the U.S.A. from wood grown and responsibly harvested in the U.S.A.
Cinch Stair Edging36 Inch Satin Nickel Protects edge of stair from damage. Easy to install - no fasteners required. Provides smooth transition between adjoining floors.